To watch with a VPN simply sign up and install ExpressVPN, open the app and select a US or UK server location (it's super easy). Then follow the instructions below. As they have done in the previous few years, two broadcasters both have the rights to show a Masters live stream in the UK. Come the business end of things, the BBC gets involved to give truly free-to-air access to UK golf fans. You can obviously watch on your television or by streaming live on BBC iPlayer without any commercial breaks. So wherever you are, if you want to watch without any rude interruptions, the BBC is the place to be. You can watch on BBC 2, or live on the BBC Sport website. If you're a Sky Sports subscriber in the UK you will be able to watch all four days of the Masters in HD on Sky Go or via Now TV. The advantages of this coverage over the BBC is that Sky invests a lot in its coverage so it tends to be extremely high end, plus you also get all four days instead of the final two. And if you've paid for Sky you might as well watch it, right? 3. Not in the UK this week? You'll need a VPN to watch either the BBC or the Sky Sports coverage of the Masters. If you're planning to dial back in to the BBC coverage from another country, we'd recommend tuning in to TVPlayer.com. It's an easy-to-use, robust and (most importantly) legal streaming site that has top quality video of all the Freeview channels. As well as the official TV coverage from ESPN CBS, US golf fans also have a free way to live stream the Masters Tournament - at the official Masters.com site. The coverage is streaming completely free, you don't even need to sign in. So if you're in any of the 52 US states, go to Masters.com and start streaming now! If you've badly timed a trip or holiday outside the US while the Masters is on, but still want to watch the official US coverage, you're going to need a VPN to do so. Simply sign up for Express VPN, dial in to a US location (it's really easy) and then go to Masters.com. 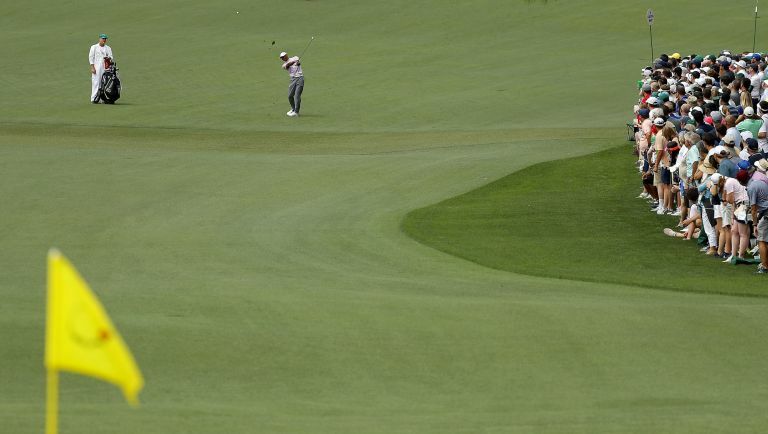 If you'd sooner the broadcast-quality coverage provided by ESPN and CBS but don't have cable on which to watch the Masters coverage, you can always go for an over-the-top service like PlayStation Vue, Sling or Hulu Live. The great thing is that they all have free trials, too, so it's another potential way to get a free Masters live stream. Want to watch for free Down Under? It's even easier than in the UK and US. That's because the Nine Network's Gem station has the whole thing. Now that's a hole-in-one. And remember, if you're away from Australia while the golf is on but still want to watch Gem's online Masters live stream, then it's a Virtual Private Network that you need. The Rory McIlroy of the VPN world is ExpressVPN, which makes things really easy, fast and secure. If you're a golf obsessive and want the best possible coverage, then you will have to part with some cash. Sports streaming subscription service Kayo has all the action and an additional three cameras for even more golf! Prices for Kayo Sports Basic Package costs $25 per month or you can upgrade to the Kayo Sports Premium Package, which provides three concurrent streams for $35 per month. That also means you'll have access to loads more sports action from Kayo, such as the NRL, FA Cup soccer, F1 and loads more.